Pssstt! Not only our skin but our hair aged too… Try to look carefully and touch your hair now. Can you detect any grey hair, dullness, thinning and frizz if yes these are the sign of hair aging. I had the same problems, spotted some grey hair and my hair is thinning due to the weather fizziness is unavoidable. So recently I tried this Nünature Hair Care range. Moschino New Capsule Collection for next Fall Winter 2015 – 2016 Ready to Bear. Creative Director Jeremy Scott has picked 19 must-have garments and accessories that play with the theme of Moschino’s iconic plush teddy bear. Franco Moschino himself made teddy a fashion star in his own right on the dresses, coats and hats of the 1988 winter collection. 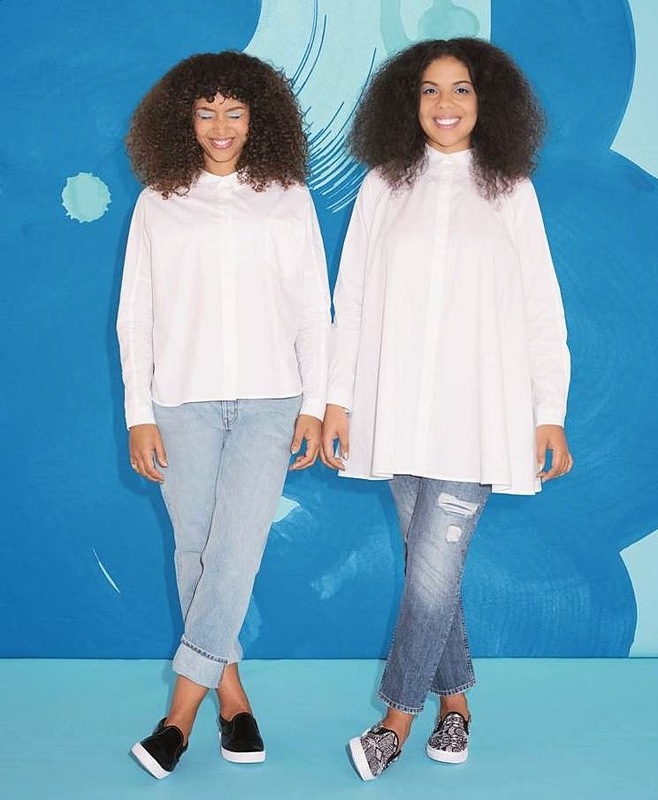 Monki teamed up with two inspiring female artists, singer Mapei and world record holding hoola hooper, Marawa the Amazing, for spring 2015. Monki empowers young women and highlight the importance of friendship, so it comes as little surprise that the brand would choose two successful artists and long-term friends to be the faces of their spring denim collection. Well, two weeks ago I was in Tokyo, Japan for the CP+ Camera and Photo Imaging Show 2015. 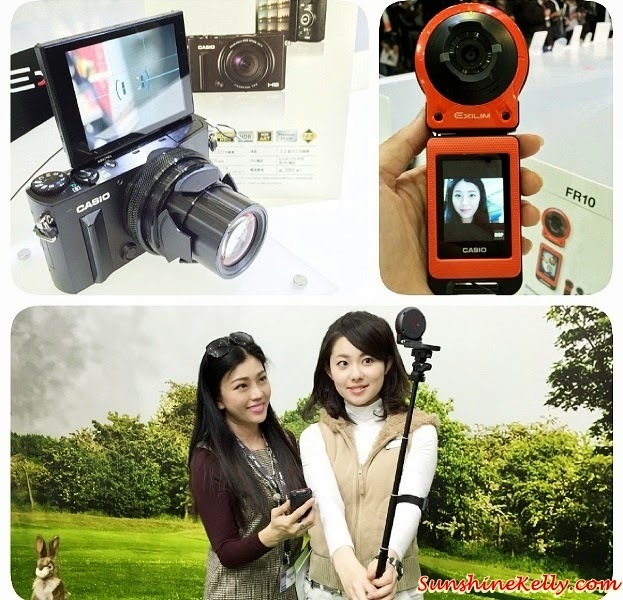 During the expo there were many new gadgets, software, apps, technology and stuff for live update. I am glad that I well prepared with My Japan Pocket Wifi - Beee Mobile. Updating live information, checking information online and staying connected with friends and family were smooth and fast connection with the unlimited 4G LTE everywhere I go in Japan. Elegance and versatility is the key to a collection of H&M city essentials for spring 2015. It’s a range of clean lines, quality materials and feminine shapes that are set to become new women’s wear classics. There’s a particular focus on fabric, with pieces in linen, suede and silk. 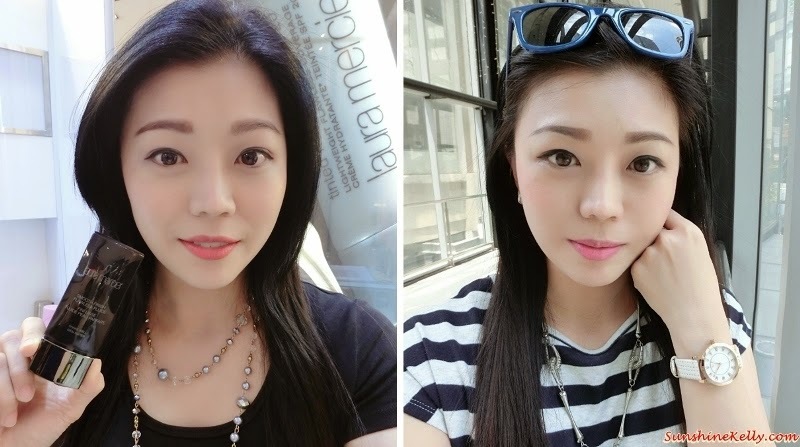 Let’s talk about beauty, the weather is so hot outside I believe making sure our makeup stay and reduce the shiny T-Zone after midday is a challenge. This is how I do it… usually after prepping my face I apply sunblock then followed by my all-time favourite Laura Mercier Foundation Primer. Currently I am using the new Laura Mercier Smooth Finish Flawless Fluide. I can’t deny the selfie has become part of our lifestyle, should I say that it is a trend that everyone enjoy doing it. Everywhere I go, events, celebration or occasions people are taking selfie, wefie or groupfie and posting it on their social media. How about you? Are you into selfie? As you know I am using CASIO TR15 and now I have a new baby CASIO MR1. 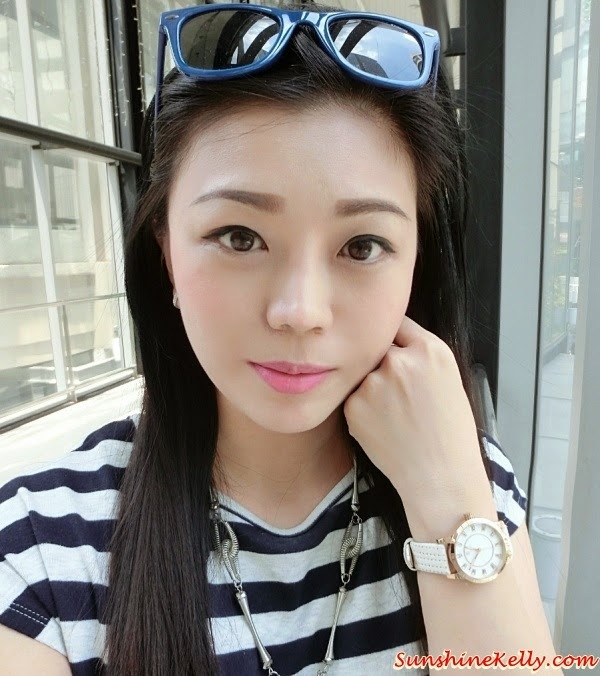 I like CASIO because it is easy to use, fast and gives excellent selfie quality that I can upload instantly on my social media platform ~ Selfie is CASIO. The Nike Flyknit Lunar 3 pairs plush Lunarlon cushioning with an incredibly light and strong Flyknit upper that is breathable, flexible and supportive all at once; it is the third generation of the running shoe. Whether its a runner's first mile, or signing up for the Nike Women’s Race Series in 2015 or attempting a marathon - the Nike Flyknit Lunar 3 delivers runners the ultimate in performance-plus-style. A healthy body is made up of about 70% of water. Oil plays and important part in preventing the water loss from our body, acting as a waterproof film covering our body. Our daily lifestyles effect too much moisture loss such as air conditioning, hot shower, soap, washing and etc. Using natural oil on our skin is better, safer and protects our skin from dehydration. Puff Off!!! I am in bad mood because staying up late for so many days. SOS! 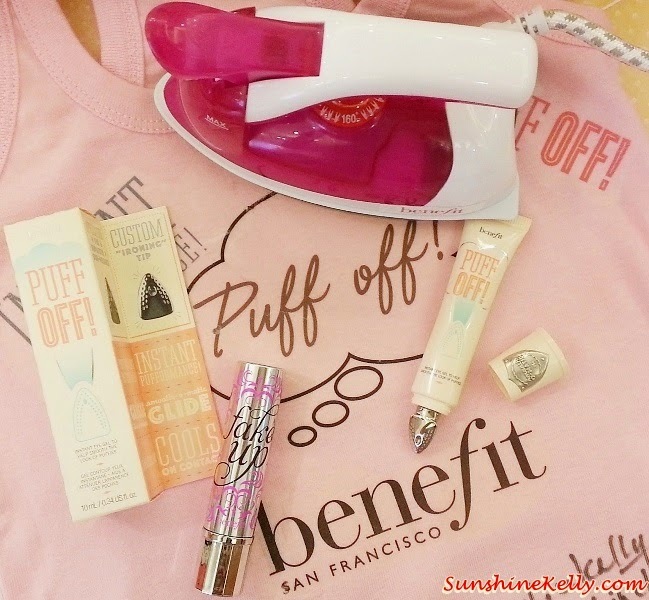 Now I really need these Benefit Puff Off Instant Eye Gel to help to iron off and smoothen my puffiness and fine lines below my eyes. Orchid is the latest product line for Innisfree; the delicate, exotic and graceful orchids represent love, luxury, beauty and strength. The Precious Jeju Orchid Orchid has an exceptionally strong vitality to survive the harsh winters in Jeju Island, and blooms beautifully in the spring, boasting a mild fragrance and graceful figure that last longer than any other types of orchid. Ding Dong! Ding Dong! Did I hear wedding bell? Well, walking down the aisle may seem like an easy task to many but for the brides to be ensuring that every moment is perfectly organized and well captured beautifully is crucial. Every bride has her own Dream Wedding and you want to make it a memorable one because wedding is once in a lifetime. You don’t want to screw up your own wedding right? I attended “Celebrate Your Day, the Vintage Way" Bridal Fair 2015 @ The Saujana Hotel Kuala Lumpur with a bride to be and friends. For the first time ever, device and formulations come together to systematically combat the appearance of hyperpigmentation, acne-induced discoloration, uneven skin tone and dullness. Clarisonic, the pioneer in sonic cleansing, is revealing its newest breakthrough in transformative skincare: the Sonic Radiance Brightening Solution, the key to unlocking your brightest complexion. This is my first Perfume Tea Party @ Betjeman & Barton, 1 Utama Shopping Mall. You might wonder what is perfume tea party? I am sure you attended Tea Party before but not Perfume Tea Party right… Aha! during the tea party I get to concoct my bespoke perfume according to my mood, need and the scent that I love. Perfume is something very personal. A woman who doesn't wear perfume has no future by Coco Chanel. 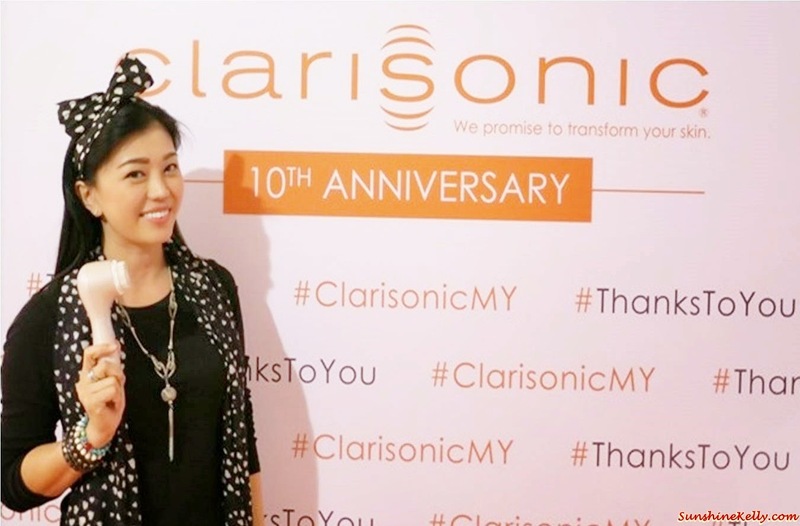 To celebrate its 10th Anniversary, Clarisonic Malaysia invited 10 artists to share their creative interpretations of the brand while using the popular Clarisonic Aria as their artist subject. These artworks were display exclusively in Clarisonic 10th Anniversary showcase at Adorn A, Starhill Gallery, Kuala Lumpur. Papulex caters for acne users. It represent an innovative dermocosmetic skincare range that focuses on improving skin’s appearance, reduce breakouts and pimples while ensuring skin appears healthy and revitalized. Skin specialists who recommended Papulex to their patients also observed improvement on their patients’ skin condition when combined with their therapy. Papulex has recently introduced its anti-blemish Papulex Gel. This anti-blemish transparent gel provides intensive anti-blemish skincare for localized spots on face and other small areas. I would like to take this opportunity to wish all my Chinese friends Happy Chinese New Year! May everything you do in the year of Goat will be smooth and prosperous. Many say that this year is a Challenging year, well to me this is an Interesting year. Who knows you might hit jackpot in the midst of hardship. Who know you might find love in the midst of despair. You never know. So I keep move forward with lots of optimism, determination and motivation. It’s the year to push ourselves to the limit - BRING IT ON! Oh my poor feet! You jump, walk, run, stand for hours and carry my body weight on you all the time. We spent so much effort and money to look good with all those skin care, body care, hair care, nail care and etc; have ever think of foot care. Psst… tell you a secret I have bunions, ouchhh! Yah sometimes it’s painful but love to wear heels, how? What should I do? I think I need some help here so few weeks ago I attended MyORTHO’s Dato’ Dr Edmund Lee talk at Tropicana City Mall’s Dr Kong outlet. He sheds some light on the correct ways to keep our feet in good shape. Are you or your friend getting married this year? If yes I know you will be busy planning and go through your wedding checklists. But don’t forget to take good care of your skin and wellbeing too. Flawless, glowing skin is one of the top items on every bride-to-be’s wish list as she begins the countdown to probably one of the most important milestones in her life’s destiny, her wedding. Have you tried the Chinese dishes at Checkers Café, Dorsett Kuala Lumpur? Usually I go to there for the buffet but this time I tried their Chinese New Year specials menu. Executive Chef Yau and his award-winning culinary team have concocted delectable nine-course set menus and also sumptuous buffet spread featuring customary must-have dishes throughout this festive season. Let’s welcome 2015 Chinese New Year with a bang and lots of positivity. Yes! I believe that our mind can control the happening and outcome around us. If we are optimistic and happy we welcome prosperity and blessings. The same goes with Levi’s encourage everyone to feel the festivities good vibes by embracing the spirit of ‘Live It Up’ with new outfits that express individuality and style. It was a refreshing spring affair at the Cath Kidston Spring Summer 2015 A Breath of Fresh Air Collection preview today at Mid Valley Megamall. Let’s embrace new beginnings in a new year with Cath Kidston as she shares her move to a new home in the English countryside featuring key prints of big open skies in springtime, views of the hills, valleys and streams nearby and the wealth of wildflowers and animals surrounding the house. 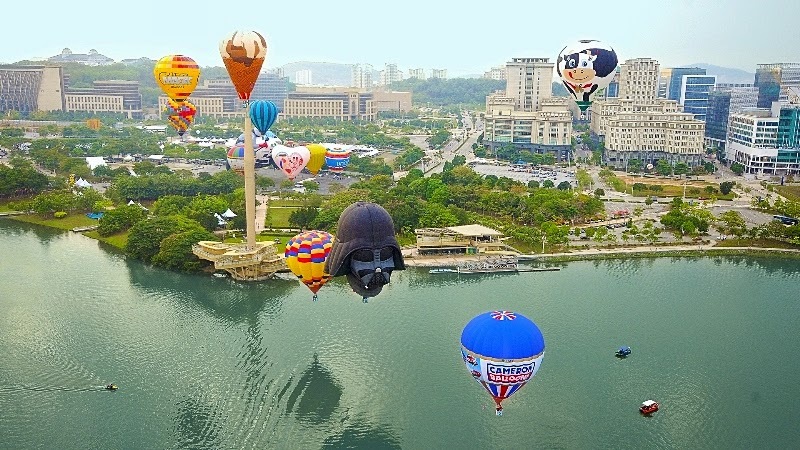 As we know, the 7th Putrajaya International Hot Air Balloon Fiesta (PIHABF) is set to once again thrill Malaysian and international visitors alike with flight, fun and food. 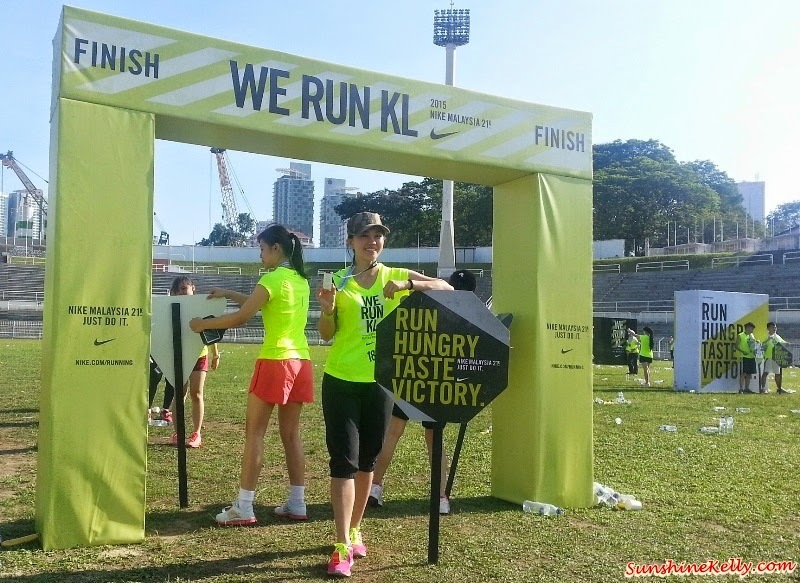 Mark your calendars from Thursday to Sunday, 12th to 15th March 2015 (from 7am – 9pm) at Precinct 2, Putrajaya and prepare to get sky high with all the action. From returning favourites to first-time features, be sure to keep a lookout for these 2015 activities and attractions. 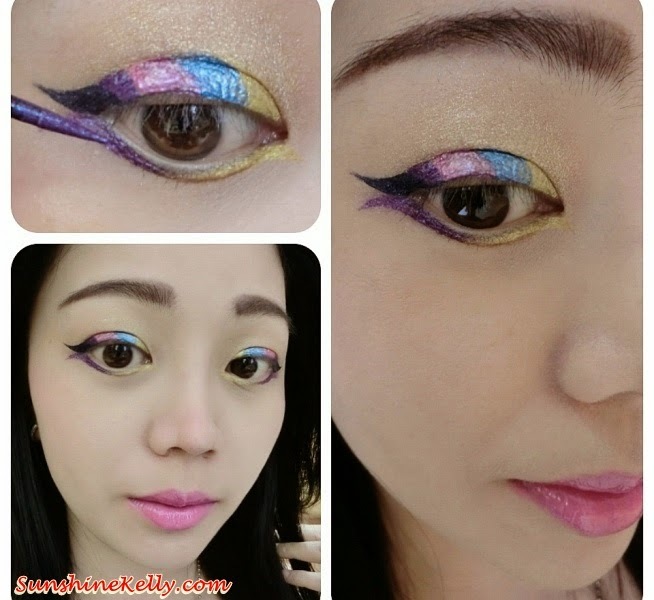 Shu Uemura Spring / Summer 2015 a bold new metallic collection for an explosive seasonal look that was inspired by “Hanabi” fireworks that decorate Tokyo’s night sky during the festive New Year. In conjunction with 2015 Chinese New Year celebration, Shu Uemura introduced the limited edition Qiang Embroidery Cleansing Oil through its first collaboration with traditional Chinese artists. The two limited edition special packaging cleansing oil are Ultime8 sublime beauty cleansing oil and Anti/Oxi skin refining anti-dullness cleansing oil. I’m celebrating the year of Goat and loading 2015 with more good vibes, happiness and of course not forgetting the ultimate goal in my life is good health. We can never trade anything for health because health is our true wealth. Recently, I tried the new JoyAmaze Beautéine, the first collagen beauty milk that is delicious, nutritious and preserve the youthfulness. Hey! I am leaving again… well this time is Winter in Tokyo, Japan for 5 days for CP+ Camera & Photo Imaging Show 2015. 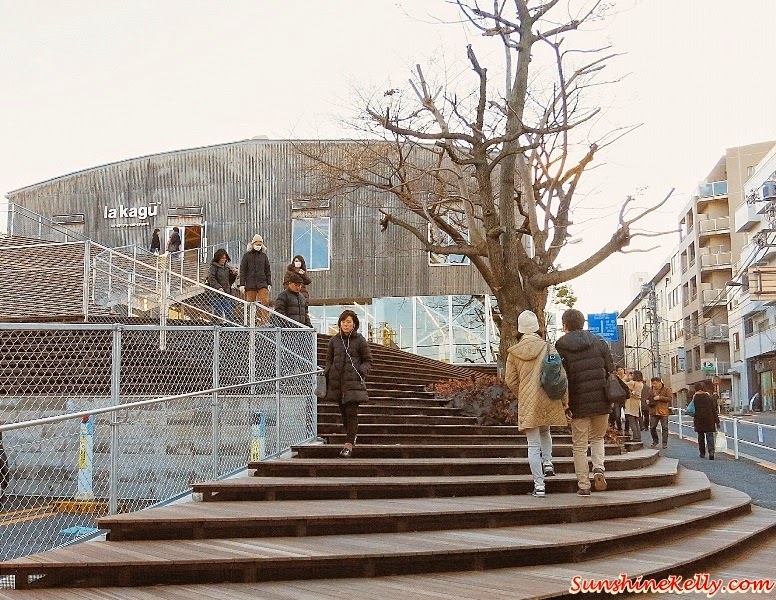 Sitting at KLIA lounge sipping coffee and checking emails while waiting for my flight to depart; might as well I whipped up a post about my Travel Checklist to Tokyo, Japan. Usually I have a checklist on my mobile so that I can refer to. Kick start my week with the latest NARS Eye Opening Act, the colors are so intense and captivating. So what’s new? Beginning of this year, NARS Cosmetics introduces a limited-edition collection that delivers captivating range and dimension for eyes. 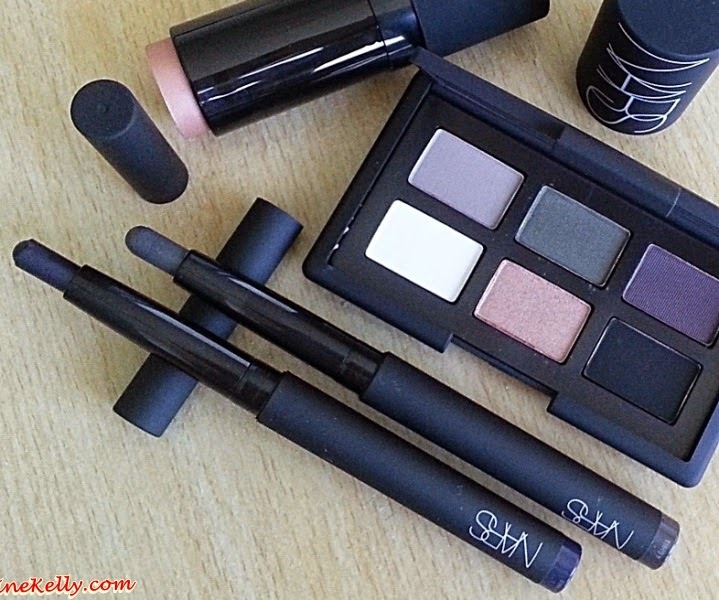 As we know eye makeup is not easy to master but with the combination of NARS’s latest Matte Velvet Shadow stick and the eye shadow palette it make the application easier. As promised here is my CNY2015 Giveaway! I am sure during Chinese New Year we all are going to indulge and enjoy all the good food, delicacies, toasting, yam seng, drinks and also hangout till late at night. Oh my! we will definitely going to put on weight and grow side way hehehe… No worries I am going to give out 3 boxes of ByTara NighTrim to help you to get back on shape. It says ‘This is what we’re made of!’ Alright, for the Spring 2015, Monki presents a collection focusing on the power of highlighting two key design features: the silhouette and the material. Head of Design Caroline Carlryd and her team have created a stylish drop, merging a minimalistic sports look with a whole lot of the things that make fashion and Monki fashion so enjoyable. On the point it’s stylish, fun and very wearable at the same time. If you like my style, you are going to love the feminine and elegant; innocent yet refined and mysteriously seductive with a touch of sexiness in Shiseido MAQuillAGE Spring Summer 2015 Collection. This season, for the first time since its launch in 2005, Shiseido MAQuillAGE has a fresh new look. “Ladylike” beauty is the new mood for new MAQuillAGE. What's in my bag challenge! I got tagged by one of my uni mate on this challenge twice. Initially I feel that this is a little bit invading my privacy, anyway for the challenge I decided to show it la! 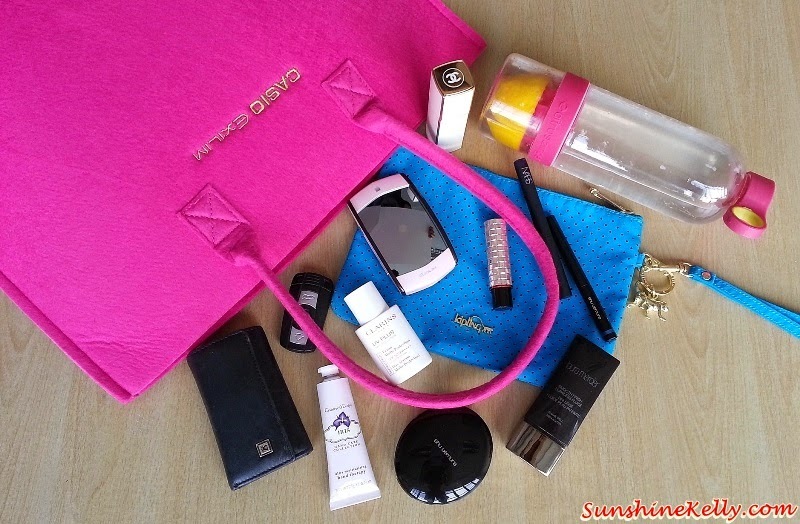 So these are all sorts of stuff, essentials, cosmetics and a fun selfie camera MR1 in my tote bag. February is a busy month and Chinese New Year is just round the corner. So how is your preparation? Have you get ready your new clothes, food, decorations and hampers? Well, I finished my house spring cleaning last weekend, still have a few clothes that I bought since last year, bought a few hampers this week and will start my groceries shopping this weekend. For those who is still thinking of ideas what hampers to buy why not take a look at Crabtree & Evelyn Chinese New Year Fine Food Hampers and Collection for 2015. Last Saturday, Pavilion Kuala Lumpur celebrated its 7th Anniversary with a series of engaging activities for its shoppers with prizes and gifts worth over RM30,000. 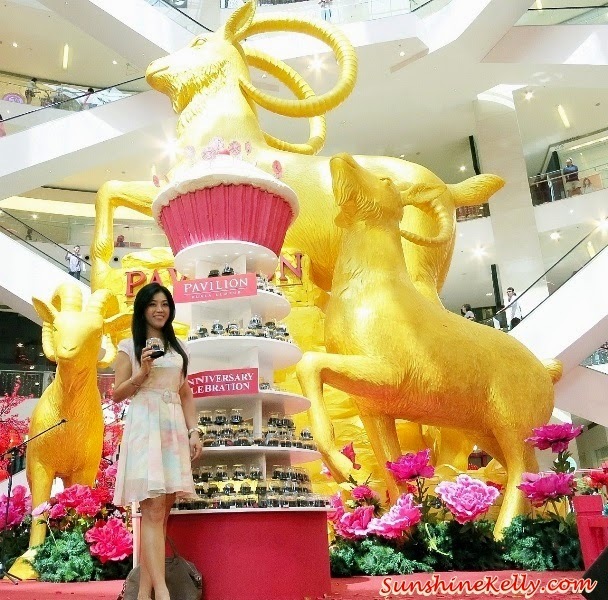 With the theme ‘7’, the leading shopping mall rewarded 700 lucky shoppers with 700 Gifts of Prosperity, containing prizes from Crabtree & Evelyn, Swiss Perfection Boutique Spa and Superdry. In addition, 7 top spenders also walked away with attractive prizes from various luxury brands. For Spring 2015, David Beckham will choose his favourite menswear pieces from the Modern Essentials collection at H&M to create Modern Essentials selected by David Beckham. This new collaboration is a natural evolution of David’s relationship with H&M, following the unprecedented success of David Beckham Bodywear and will allow men around the world to share in David’s globally-recognized sense of style. Hey! I am sure some of you are BB cream users, I am one of them too. Tell you what… I just tried this new Melasleep Whitening Blemish Balm Cream from FOR BELOVED ONE; a well-known skincare brand from Taiwan. So do what is so special about this Melasleep Whitening Blemish Balm Cream? 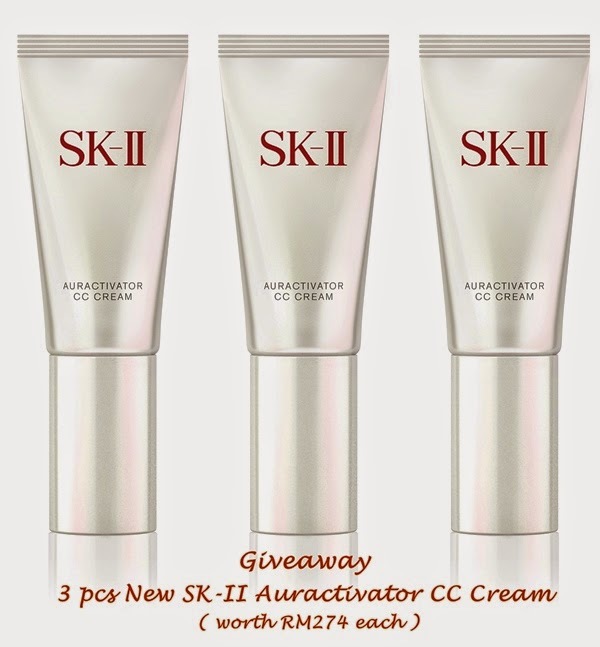 Can it help to cover all my imperfection at the same time gives me a sheer radiant skin? Here are some ideas and suggestions where to eat and have Chinese New Year Reunion dinner in Kuala Lumpur. Few weeks ago, I was privileged to Lou Sang and tried the scrumptious Premium Chinese New Year 5-course reunion dinner at the award winning Chinese restaurant, Celestial Court, Sheraton Imperial Kuala Lumpur. So far how many times you Lou Sang? Actually, I lost count lol… gosh! I have been out and eating a lot lately. Hey! What is your Valentine’s Day plan and preparation? Is it something normal like candle light dinner at the restaurant, expected presents to him or her, vacation, big surprises or not celebrating it at all. Hey! Why not do a little bit different this year? Are you keen to do something special and challenging together with your partner this Valentine’s Day at the same time both of you could win Poh Kong Cash Voucher up to RM10,000. I am giving out 3 pairs of passes to Shark Savers Couple Challenge 2015 that worth of RM298 per pair. Last Friday was a busy day, after the fashion show in Pavilion I braved the after office traffic to VENUE opening party. Well, VENUE is the newest hotspot in Bangsar, it is a multi-label store that offers an eclectic mix of highly sought-after brands from around the globe. Currently VENUE houses 11 brands under its roof such as Deus Ex Machina, Rastaclat, O’Neill, Official Crown of Laurel, Sprayground, Rip Curl Surf Craft, Burton, VoLo, Globe, and Dickies. LOVE is all we need! I have no doubt about it but a little bit of surprises now and then do create sparks, right? No matter what, we still love to receive gifts from our loved one especially something that is meaningful and memorable that we can cherish together. Valentine’s Day is a romantic day that we usually celebrate with our loved one. Are you ready with your surprises, gifts, plans or arrangements for Valentine’s Day? 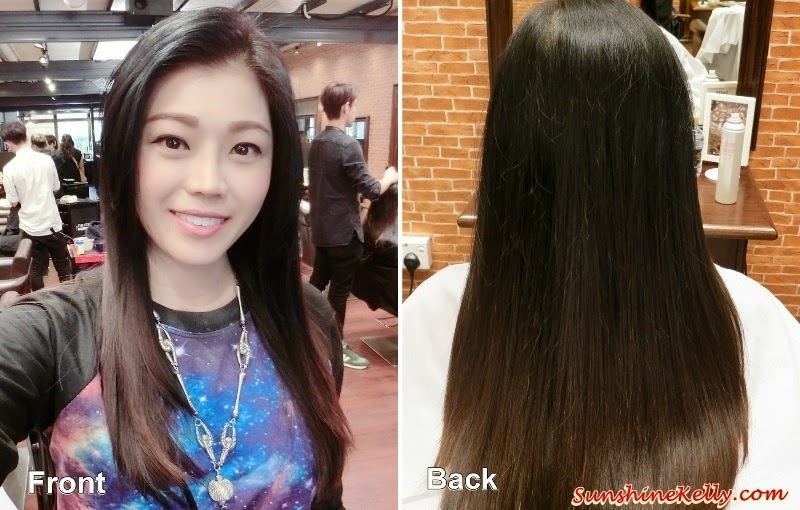 Are you facing hair thinning problem? It can happen to men and women also. Perhaps you can try the Redken Cerafill-94 to achieve thicker, fuller hair instantly and over time powered by Redken Science. Well, according to the hair expert Cerafill-94 is the 1st Professional Solution that provides both instant & long-term results in one comprehensive line.